A Tonk's Tail... err, Tale...: TRULY Epic Battle. Nicely played! Thanks again for the fun package! We plan in posting about it next week. Sorry for the delay. wow - champion toy chomping!! You are an expert, Maxwell! Well done, Maxie! 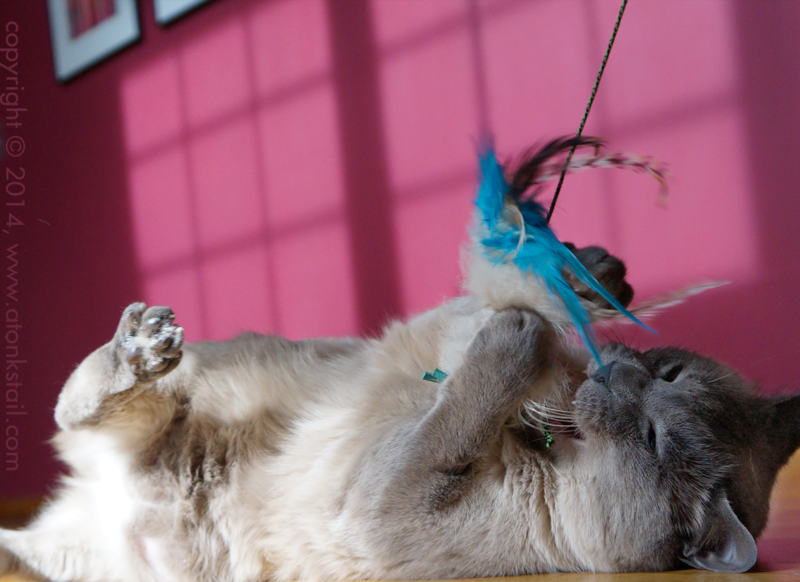 That was one mighty chomp you gave that feather! Well done Maxwell you sure showed Faraday how the master does it. Have a wonderful Wednesday. We're impressed that your human purchased a toy that purrfectly matches your eyes! 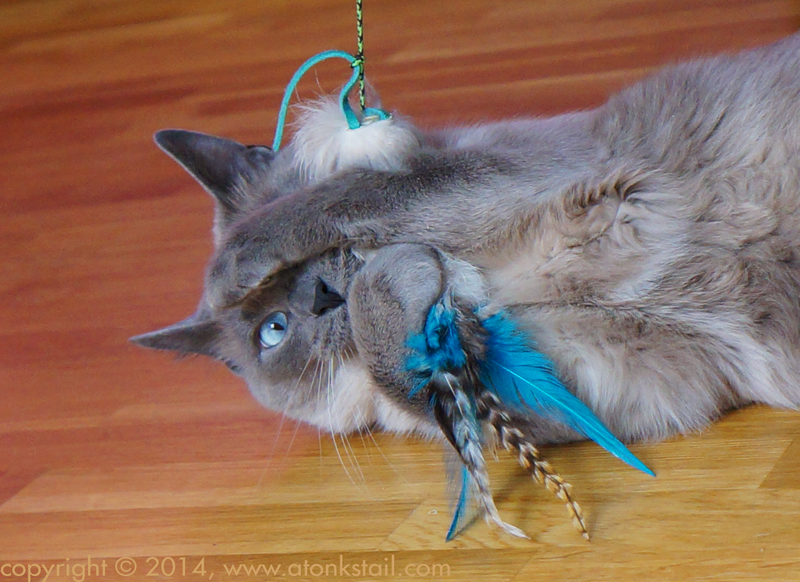 We're impressed that your humans found a toy that purrfectly matches your eyes! We'd definitely say you're winning, dood! I think you killed it, Maxwell! Nice work taking down that dangerous feather! I hope Faraday was taking notes! 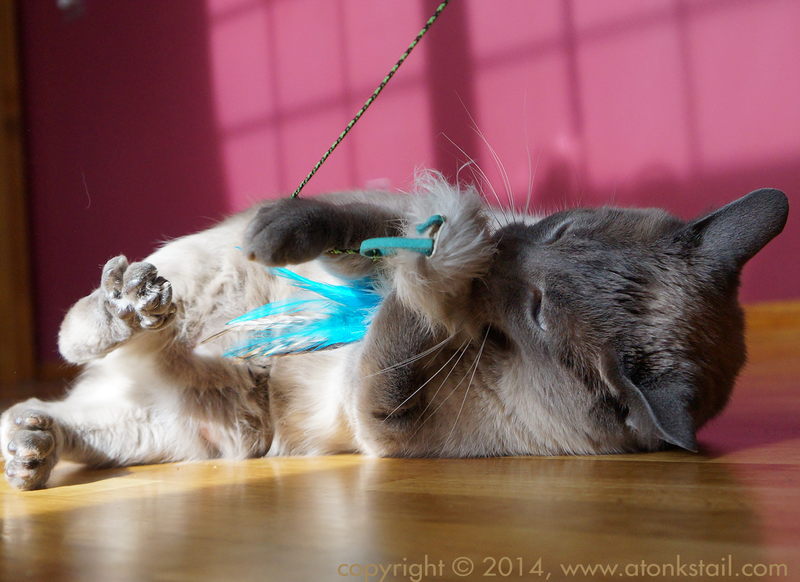 Feathers can be very tricky! Nicely done, Maxwell! You should teach a class or something! WOW, you really deaded that birdie. Good job. Good job, Maxwell! We love how your birdie matches your eyes, too. You're so stylish! OMC! You deaded it for sure, Maxwell! GREAT "Death To Toys" werk! You've got some mean skills!! 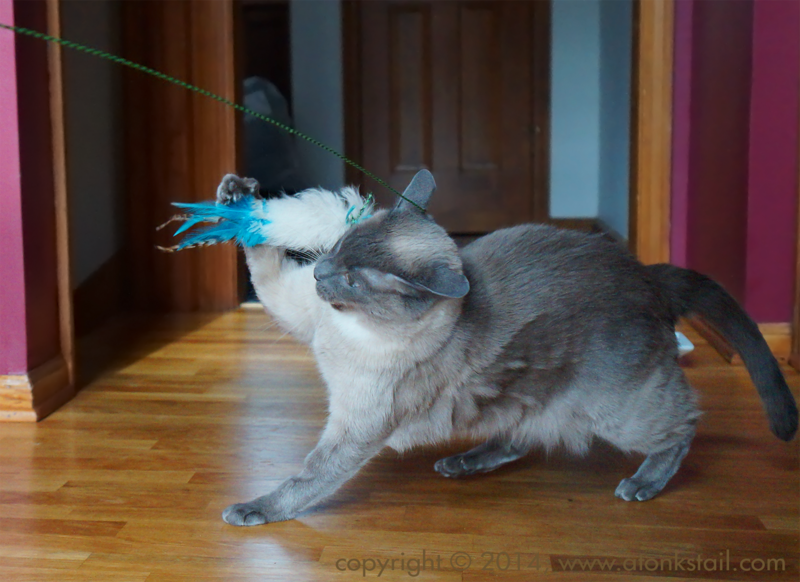 Those are some major feather killing skills Maxwell!